As a CMA Exam candidate, you face two exams, both consisting of 100 multiple-choice questions and two essays. 75% of your score is made up of the multiple-choice questions while the other 25% is made up of the essay questions. The CMA Exam can be tricky, but you’re ready to learn how to pass the exam and get one step closer to your CMA certification. 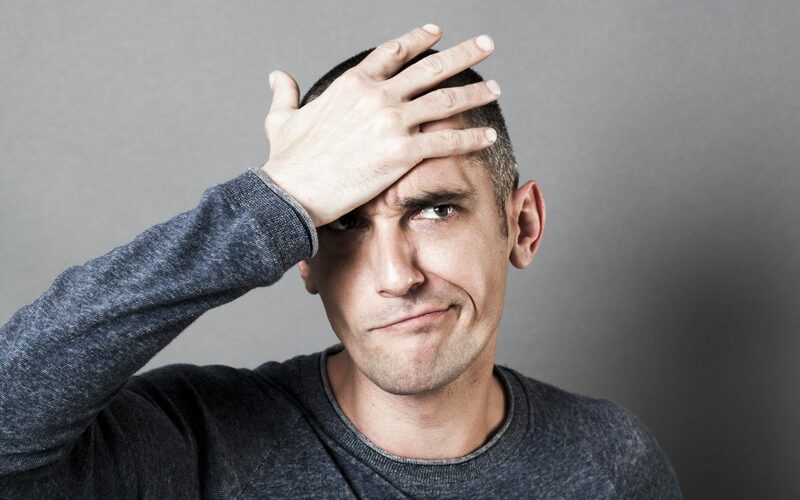 Avoid the 9 common mistakes CMA candidates make below to navigate your way through studying for and passing the Certified Management Accountant Exam. The CMA Exam is four hours long, and one of those hours is dedicated to your essays. Make sure you’re allocating your 3 hours of multiple-choice time to the 100 questions, and periodically check to ensure you’re on track. You don’t want to have to move on to the essay section without having answered all of the multiple-choice questions. If you’re nervous about the essay portion, it might be good to plan on finishing your multiple-choice questions in 2.5 hours so you have an extra half hour on the essays. Going through the material will help you tremendously on the CMA Exam, but make sure you’re also taking plenty of practice quizzes to gauge how well you’re prepared. When you take quizzes, learn from your mistakes by identifying why you got an answer wrong. Also, take several practice tests before exam day to help you see how you’ll fare in exam conditions. Choosing exam materials can be tough, but you want to make sure you’re getting study materials that fit your learning style, have good reviews, and have high pass rates. Look for materials that utilize the newest technologies to help you pass, like Surgent’s adaptive learning technology, created to help you study more efficiently and pass faster. “Make sure you read the question,” is a line that has been repeated to us over and over again throughout our schooling, and for good reason. In the CMA Exam essays, it’s very important you know what you’re writing about before you start to write. Pay attention to words like explain, compare and contrast so you don’t accidentally answer a different question than the one asked. Be sure you know what you need to answer before you dive in. Unlike multiple-choice questions that are graded by a computer, essay questions are graded by a person. These graders are looking to give points for organized, clear ideas, and they can’t give points to blank questions. Even if you don’t have time to write a fully-fledged essay, put a few points in the answer box or fill out an outline. One of the essay grading criteria is clarity. Answers should get to the point and utilize bullet points, well-spaced paragraphs and simple sentence structure to improve clarity. If you have time at the end, go back and edit your answers; make sure you aren’t repeating yourself or adding fluff to your writing. Remember, you only have a full hour to complete your two essay questions. If you finish your multiple-choice questions earlier, you’ll have more time, but you’re guaranteed the one hour, which means you’ll probably want to allocate 30 minutes or so to each essay. If you finish the multiple-choice questions early, allocate the 30 minutes to each essay and then spend some time at the end editing your essays. You also might want to consider the order you answer your essay questions. Look through each one and decide which one you feel more confident with. You want to get the most points possible and starting with a question you really know is advantageous. It might also leave you more time, and boost your confidence, for the more difficult question. One of the grading criteria is “Use of Standard English,” meaning you need to make sure your essays are spelling, grammar and punctuation error free. As you do your practice essays, keep an eye out for words you tend to misspell or grammar and punctuation errors you consistently make. You should even consider having someone else read your essay to point out mistakes to you as you practice. Practicing writing essays isn’t the most fun activity you’ll ever do, but there’s no doubt it will help you on exam day. You’ll learn how to answer questions concisely and clearly by practicing, and you’ll better identify your own weaknesses when it comes to spelling, grammar and punctuation. By practicing with a time constraint, you’ll feel out how to manage your time on the exam, how long you really need for an essay question and how you write under a time constraint. Spend some time both practicing writing essays on their own, and in the context of a practice exam. By avoiding the mistakes above and following our advice on the CMA Exam, you’ll be able to pass both parts quickly and relatively easily, putting you on the path to a great career. Don’t make the mistake of choosing the wrong exam prep material. Earn your CMA Certification while studying significantly LESS! Surgent CMA Review’s award-winning adaptive technology identifies your level of knowledge across all content areas and generates study material to target and improve weak areas. Sign up for a free trial to see it for yourself!